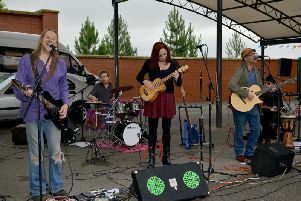 America is the inspiration for a concert by Derbyshire musicians. Creations from across the pond will be aired at St Mary’s Church, Wirksworth, on Saturday, May 14, at 7.30pm. The programme, to be performed by Derby Concert Orchestra, includes Barber’s Adagio for Strings, Gershwin’s Porgy and Bess and Marquez’s Danzon No. 2. Admission £12 and £10 (concessions) or free entry for under 16s when accompanied by an adult. Tickets from orchestra members,online at www.derbyconcertorchestra.co.uk, Paynes the Chemist in Wirksworth or on the door.